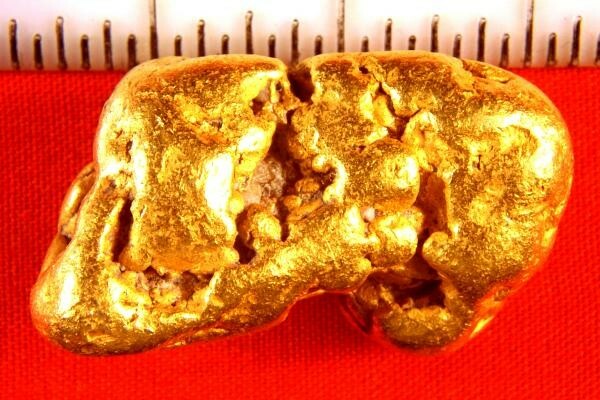 This is the largest natural gold nugget that I have from British Columbia in Canada. It is not often that you see such rare gold nuggets for sale, and this one is being offered for a very reasonable price. It is river worn and the color is gorgeous. The weight is a very hefty 60.6 Grams (1.95 Troy Ounces). The size is 1.3" (35 mm) long. Gold Nuggets this large from B.C. are extremely rare to find and even rarer to see offered for sale. I only have four of these B.C. 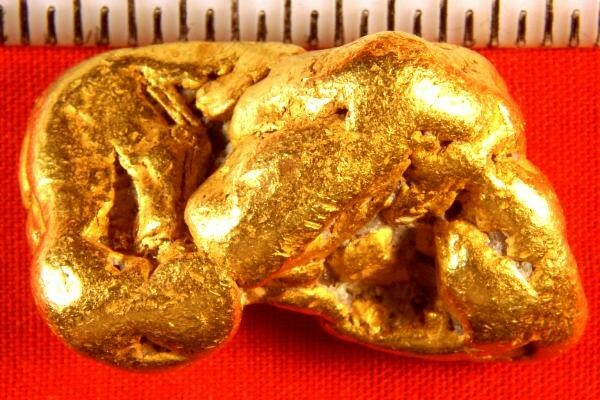 gold nuggets over an ounce so this may be your only chance to get such a rare gold nugget for a reasonable price.